If you need legal help regarding access to information or any aspect relating to Freedom of Information law, then please complete your free legal enquiry form on the left, or click here. to enable individuals, except in very limited and exceptional circumstances, to have access to information about them held on government files, so that they may know the basis on which decisions that can fundamentally affect their lives are made and may have the opportunity of correcting information that is untrue or misleading. requires agencies to publish information about their organization and functions and the types of documents they hold and to make available manuals, rules, guidelines and precedents used in making internal decisions affecting the public. If you need legal help regarding access to information, and please complete your free legal enquiry form on the left, or click here. to have inaccurate material on file corrected. The freedom of information law requires that the public be provided access to governmental records. Public access may be denied if it would constitute an invasion of privacy. If you need legal advice regarding Freedom of Information Law, then please complete your free legal enquiry form on the left, and we will put you in touch with a Freedom of Information Law lawyer nearest you, who can help you with Freedom of Information Law. Our free legal enquiry service for Freedom of Information Law extends to all suburbs and locations throughout Australia. If you would like legal help or legal representation from a specialist lawyer regarding any aspect of freedom of information law, then please complete your free legal enquiry form. The Commonwealth Freedom of Information Act 1982 (the FOI Act). The objects of the FOI Act are to give the Australian community broad access to information held by the Government by requiring agencies to proactively publish certain information and giving citizens a right of access to Government held documents. Information held by the Government is to be regarded as a national resource and treated accordingly. The Office of the Australian Information Commissioner (OAIC) is an Australian Government agency, established under the Australian Information Commissioner Act 2010. The OAIC has been established as part of major changes to federal freedom of information law made during 2010. These reforms bring together, for the first time, functions relating to freedom of information and privacy, as well as new functions relating to information policy. The Office of the Privacy Commissioner, which was the national privacy regulator, was integrated into the OAIC on 1 November 2010. The OAIC is an independent statutory agency within the Attorney General's portfolio and liaises with the Information Law and Policy Branch in the Attorney General's Department. Freedom of information (FOI) is one of the three broad functions of the Office of the Australian Information Commissioner (OAIC). The main source of this function is the Freedom of Information Act 1982 (FOI Act). The Information Commissioner, supported by the Freedom of Information Commissioner, works to promote awareness and understanding of the FOI Act among both agencies and the public, promote a pro-disclosure culture across government and provide external merits review of FOI decisions made by agencies and ministers. The new Office of the Australian Information Commissioner (OAIC), established under the Australian Information Commissioner Act 2010, includes two new statutory officers, the Australian Information Commissioner and the Freedom of Information (FOI) Commissioner. The Information Commissioner, supported by the FOI Commissioner, acts as an independent monitor of FOI matters and reviews FOI access decisions made by agencies and ministers. The Information Commissioner has also taken over most of the Commonwealth Ombudsman's functions in investigating complaints about handling of FOI requests. The Ombudsman can still investigate complaints relating to FOI where that would be more appropriate or effective. •provide a new means of review of access decisions through the OAIC. •informing debate on matters of public importance. Factors which are not conducive to open and accountable government, including potential loss of confidence in or embarrassment to the government, may no longer be used to support non-disclosure. Decision makers are now required to address the public interest factors taken into account when they give reasons for their decision. An FOI access request may extend to documents held by a contracted service provider who is delivering services to the public on behalf of an agency. The agency must take contractual measures to ensure that if an FOI request is made, the agency receives documents that relate to the performance of the contract. A model clause has been drafted to assist agencies to meet that obligation for contracts entered into after 1 November 2010. Exemption categories for Executive Council documents and documents relating to an agency's conduct of industrial relations have been repealed. There are limited exclusions of certain intelligence-related information, since the functions of intelligence agencies and other strategic defence programs would be compromised if the general standards of openness and transparency applied to them. The regulation of freedom of information in Australia is administered by the Department of the Prime Minister and Cabinet. This page has information on freedom of information including how to apply, Australian Government FOI contact officers, state and territory matters and links to other FOI sites. Research aids include links to the legislation and a history of the Act. 1982. TABLE OF PROVISIONS Long Title PART I--PRELIMINARY 1. Short title [see Note 1] 2. Commencement [see Note 1] ..
1982. No. 9859 of 1982 Version incorporating amendments as at 3 November 2011 TABLE OF PROVISIONS Section Page ..
Principles of administration 5. Act binds Crown 6. Access procedures do not apply to documents that are already available 7. Application of access procedures to ..
Victorian Consolidated Acts beginning with F ..
FAIR TRADING ACT 1999 · FAIR WORK (COMMONWEALTH POWERS) ACT .. CHURCH PROPERTY ACT 1953 · FREEDOM OF INFORMATION ACT 1982 ..
E Law: FREEDOM OF INFORMATION LAWS AFFECT THE ..
by M Woodbury - Freedom of information laws create a tension between the public's desire to be informed and the university's historic autonomy. In 1868, for example, the ..
not to apply to judicial functions of courts and tribunals 7. Documents in State Records 8. Defunct agencies PART 2--Publication of certain information 9. How Act applies to certain older records PART 2--PUBLICATION OF CERTAIN DOCUMENTS AND INFORMATION 7. Publication of information concerning ..
FREEDOM OF INFORMATION ACT 1982 - SECT 48 Application for ..
1982 - SECT 48. Application for amendment or annotation of personal records. Where a person claims that a document of an ..
1982 - NOTES. Act No. 3 of 1982 as amended. This compilation was prepared on 31 January 2012 taking into account ..
1992 - SCHEDULE 2. [Glossary, cl. 1]. [Heading amended by No. 19 of 2010 s. 4.] The Governor and the Governor's ..
(c) exempt content-service documents concerning the performance of a function, or the exercise of a power, under Schedule 7 to the Broadcasting Services Act ..
FREEDOM OF INFORMATION ACT 1982 - SECT 7 Exemption of ..
1982 - SECT 7. Exemption of certain persons and bodies. (1) The bodies specified in Division 1 of Part I of Schedule 2, and ..
1989. - As at 1 July 2010 - Act 5 of 1989 TABLE OF PROVISIONS Long Title PART 1 - PRELIMINARY 1. Name of Act 2. The ACT Freedom of Information ACT 1989 (FOI Act) provides citizens with the right to access all documents in the possession of the ACT .. The Freedom of Information Act 1982 (Vic) gives you the right to request information held by the University. As such, you are able to: access documents about ..
Act No. 5. Freedom of Information 1989. The Legislature of New South Wales enacts: PART 1— .. This Act may be cited as the Freedom of Information Act 1989. 1982 - SECT 3. Objects--general. (1) The objects of this Act are to give the Australian community access to information held ..
FREEDOM OF INFORMATION AMENDMENT (REFORM) ACT 2010 ..
AMENDMENT (REFORM) ACT 2010 (NO. 51, 2010). TABLE OF PROVISIONS Long Title 1. Short title 2. Commencement 3. Freedom of Information - Legal and Compliance Services - Curtin .. The Western Australian Freedom of Information Act (1992) ("the Act") applies to Curtin University. To request information from the University ..
Freedom of Information. The Victorian Freedom of Information Act (1982) gives persons the right to access documents of an agency, subject to ..
University Secretary's Department : Freedom of Information :The ..
What is Freedom of Information ? The Victorian Freedom of Information Act came into effect on 5 July 1983. The FOI Act (No. 9859 of 1982) gives persons the ..
1982 - SECT 4. Interpretation. (1) In this Act, unless the contrary intention appears: "access grant decision" has the meaning ..
to apply to certain tribunals in respect of administrative matters 7. Exemption of certain bodies 8. Publication of information concerning functions and ..
by V Staff - 2010From 1 July 2010, the former Freedom of Information Act 1989 (NSW) has been replaced by the Government Information (Public Access) Act 2009 (NSW). The University of Adelaide is a body established for a public purpose and an "agency" under the Freedom of Information Act 1991 ("the FOI Act"). Members of the .. The Freedom of Information Act 1982 is Commonwealth legislation that allows the general public to seek access to information held by any ..
handling practices. ➢ Confirm a client's right to have access to, and seek to correct, information about them (in accordance with the Freedom of Information. Act) ..
E LAW | A Difficult Decade: Continuing Freedom of Information ..
During the decade following the original article "Freedom of Information Laws Affect the Autonomy of American Universities" appeared, the intellectual, social .. If a request is made for a document but the Freedom of Information Act is not mentioned by the applicant, an appropriate person in the relevant .. The Freedom of Information Act, 1992 ('FOI' Act) allows individuals to make an application for access to documents created or held by UWA, .. The Department of Education - Policies - Freedom of Information Act .. This is a link to a complete version of the Freedom of Information Act 1992 from the Western Australian State Law Publishers website. It is an Act to provide for .. Under the provisions of Freedom of Information legislation, .. Under the Act nearly all records, notes, correspondence, diaries, reports and files, ..
Information which is not publicly available may be accessible under the Freedom of Information Act 1982 (Vic) (FOI Act) which provides a right .. The Western Australian Freedom of Information Act 1992 ("the FOI Act") gives the public the right to apply for access to documents held by government and .. The aim of this course is to explore the way in which information is regulated in Australia by the Freedom of Information Act 1982 (Cth) and the Privacy Act 1988 ..
Monash University is a prescribed authority (or "agency") under the Victorian Freedom of Information Act 1982. This Act extends to the .. The purpose of the Freedom of Information Act 1991 is to make the business of government open and accountable to all. The University strives to be an open ..
FREEDOM OF INFORMATION ACT 1982 - SECT 57A Tribunal ..
1982 - SECT 57A. Tribunal reviewable decisions--which decisions are reviewable? (1) An application may be made to the .. The Freedom of Information Act 1982 (the FOI Act) provides a general right of access to documents held by the Department of Innovation, Industry, Science and .. The University of Melbourne Freedom of Information – an outline of .. The University is a "prescribed authority", and therefore an "agency" for the purposes of the. Freedom of Information Act 1982 (Vic) (the Act). The purpose of this ..
FREEDOM OF INFORMATION ACT 1982 - SECT 37 Documents ..
1982 - SECT 37. Documents affecting enforcement of law and protection of public safety. (1) A document is an exempt .. Principal Act 4. Interpretation 5. Publication of information concerning functions and documents of agencies 6. Certain documents to be available for inspection ..
1 This is a compilation of the Freedom of Information Act 1992 and includes the amendments made by the other written laws referred to in the following table 1a. The University is subject to the Freedom of Information Act (South Australia). Under the Act, the Vice-Chancellor, as the principal officer of the .. The object of the Freedom of Information Act 1982, is to extend as far as possible the right of the community to access information in the ..
FREEDOM OF INFORMATION ACT 1982 - SECT 47G Public interest ..
1982 - SECT 47G. Public interest conditional exemptions--business. (1) A document is conditionally exempt if its disclosure ..
ACARA is required by the Freedom of Information Act 1982 s11C to publish a disclosure log on its website. The disclosure log lists information which has been ..
FREEDOM OF INFORMATION ACT 1982 - SECT 47F Public interest ..
1982 - SECT 47F. Public interest conditional exemptions--personal privacy. General rule. (1) A document is conditionally ..
FREEDOM OF INFORMATION ACT 1982 - SECT 38 Documents to ..
1982 - SECT 38. Documents to which secrecy provisions of enactments apply. (1) Subject to subsection (1A), a document is ..
FREEDOM OF INFORMATION APPLICATIONS: PROCEDURES ..
FREEDOM OF INFORMATION APPLICATIONS: PROCEDURES AND EXEMPTIONS. Purpose of the Freedom of Information Act. The Freedom of Information Act ..
FREEDOM OF INFORMATION ACT 1982 - SECT 22 Access to ..
1982 - SECT 22. Access to edited copies with exempt or irrelevant matter deleted. Scope. (1) This section applies if: ..
FREEDOM OF INFORMATION ACT 1982 - SECT 15 Requests for ..
1982 - SECT 15. Requests for access. Persons may request access. (1) Subject to section 15A, a person who wishes to .. The Institute is committed to comply with the objects and intent of the Freedom of Information Act. 1992 ("the FOI Act"). Durack endeavours to ..
FREEDOM OF INFORMATION ACT 1982 - SECT 47 Documents ..
1982 - SECT 47. Documents disclosing trade secrets or commercially valuable information. (1) A document is an exempt ..
Democratic Audit of Australia – March 2005. Freedom of Information Law in Need of Overhaul. ∗. Denis O'Brien. Partner, Minter Ellison Lawyers. In 1822, James .. Contents. 1...... Short title.............................................. 1. 2...... Commencement......................................... 2. 3. Information equity Fact Sheet - updated May 2010 - UTS: Law .. The Freedom of Information Amendment (Reform) Bill (2009) amends the .. The Information Commissioner Bill (2009) amends the Freedom of ..
1982 - SECT 94. Regulations. (1) The Governor-General may make regulations, not inconsistent with this Act, prescribing all .. The Freedom of Information Act 1982 (Commonwealth). (FOI Act) gives any person the right to: access copies of documents (except exempt documents) we hold ..
browser window depending on your setup. See download instructions for more information on how to configure your browser for easy downloading of files. Freedom of Information. Part II Compliance by Monash University. The Freedom of Information Act is directed to the making of information ..
FREEDOM OF INFORMATION ACT 1982 - SECT 42 Documents ..
1982 - SECT 42. Documents subject to legal professional privilege. (1) A document is an exempt document if it is of such a ..
FREEDOM OF INFORMATION ACT 1982 - SECT 8 Information to be ..
1982 - SECT 8. Information to be published--what information? Agency plans. (1) An agency must prepare a plan showing ..
1982 - SECT 11. Right of access. (1) Subject to this Act, every person has a legally enforceable right to obtain access in ..
FREEDOM OF INFORMATION ACT 1982 - SECT 11B Public interest ..
1982 - SECT 11B. Public interest exemptions--factors. Scope. (1) This section applies for the purposes of working out ..
FREEDOM OF INFORMATION ACT 1982 - SECT 11A Access to ..
1982 - SECT 11A. Access to documents on request. Scope. (1) This section applies if: (a) a request is made by a person, ..
AUSTRALIAN INFORMATION COMMISSIONER ACT 2010 - SECT 3 ..
"agency" has the meaning given by the Freedom of Information Act 1982 . "Freedom of Information Commissioner" means the person appointed under section ..
Freedom of Information (FOI) at UTS. On 1 July 2010 the Government Information (Public Access) Act 2009 (NSW) replaced the Freedom of ..
1992 - SCHEDULE 1. [Glossary cl. 1]. [Heading amended by No. 19 of 2010 s. 4.] 1 . Cabinet and Executive Council ..
Freedom of Information - Macquarie University - Records and ..
On 1 July 2010, The new Government Information (Public Access) Act 2009 (GIPA Act), replaced the former Freedom of Information Act, and as ..
FREEDOM OF INFORMATION ACT 1982 - SCHEDULE 3 Secrecy ..
1982 - SCHEDULE 3. Secrecy .. 125(2)(a). Child Support (Registration and Collection) Act 1988 , paragraph 16(2)(b) ..
FREEDOM OF INFORMATION ACT 1982 - SECT 26 Reasons and ..
1982 - SECT 26. Reasons and other particulars of decisions to be given. (1) Where, in relation to a request, a decision is ..
FREEDOM OF INFORMATION ACT 1982 - SECT 6C Requirement ..
1982 - SECT 6C. Requirement for Commonwealth contracts. (1) This section applies to an agency if a service is, or is to be, .. The Education and Training Reform Act 2006 amalgamates all of the .. the Freedom of Information Act 1982 or Information Privacy Principle 6. FREEDOM OF INFORMATION ACT 1982 - SECT 15AA Extension of ..
1982 - SECT 15AA. Extension of time with agreement. An agency or Minister may extend the period referred to in paragraph ..
FREEDOM OF INFORMATION ACT 1982 - SECT 24 Power to refuse ..
1982 - SECT 24. Power to refuse request--diversion of resources etc. (1) If an agency or Minister is satisfied, when dealing ..
135. Division 2. Transitional provisions for Information Privacy. Act 2009 and Right to Information Act 2009. 62. Omitted references to Freedom of Information Act ..
FREEDOM OF INFORMATION ACT 1982 - SECT 49 Requirements ..
1982 - SECT 49. Requirements of an application for amendment. An application for amendment must: (a) be in writing; and ..
2. the Privacy and Personal Information Protection Act 1998 (NSW) .. the Freedom of Information Act 1989 and the Local Government Act 1993 ..
FREEDOM OF INFORMATION ACT 1982 - SECT 15A Request for ..
1982 - SECT 15A. Request for access to personnel records. (1) In this section: "personnel records" , in relation to an ..
Government Information (Public Access) Act 2009 (NSW). On 1 July 2010 the Freedom of Information Act 1989 (NSW) was replaced by the ..
FREEDOM OF INFORMATION ACT 1982 - SECT 64 Production of ..
1982 - SECT 64. Production of exempt documents. (1) Section 37 of the Administrative Appeals Tribunal Act 1975 does not .. The Review of Queensland's Freedom of Information Act found that a new approach was needed from the Government, putting forward 141 recommendations ..
Freedom of Information (FOI) - myAdvisor: Online help for UQ .. The University is subject to the Queensland Freedom of Information Act 1992 which gives you the right to access University-held documents ..
FREEDOM OF INFORMATION ACT 1982 - SECT 56 Appeals ..
1982 - SECT 56. Appeals--appeals to Federal Court of Australia on questions of law. (1) A review party may appeal to the ..
How do I request under FOI? Requests for information made under the Freedom of Information Act must contain the following elements in order ..
GOVERNMENT INFORMATION PUBLIC ACCESS ACT - ARMS ..
On 1 July 2010 the NSW Government Information (Public Access) Act 2009 came into force, replacing the NSW Freedom of Information Act. FREEDOM OF INFORMATION AMENDMENT (REFORM) BILL 2010 ..
AMENDMENT (REFORM) BILL 2010. 2008-2009-2010 THE PARLIAMENT OF THE COMMONWEALTH OF AUSTRALIA HOUSE ..
FREEDOM OF INFORMATION ACT 1982 - SECT 24A Requests may ..
1982 - SECT 24A. Requests may be refused if documents cannot be found, do not exist or have not been received ..
FREEDOM OF INFORMATION ACT 1982 - SECT 54 Internal review ..
1982 - SECT 54. Internal review--access refusal decision. (1) This section applies if an access refusal decision is made in .. Schedule 1 - Objects Freedom of Information Act 1982 Item 1- section 3 This item repeals the existing objects provision of the FOI Act and substitutes a new ..
FREEDOM OF INFORMATION ACT 1982 - SECT 23 Decisions to be ..
1982 - SECT 23. Decisions to be made by authorised persons. (1) Subject to subsection (2), a decision in respect of a .. The disclosure log contains documents disclosed to applicants under the Freedom of Information Act. Documents related to, or containing ..
1991 - SCHEDULE 1. Schedule 1—Exempt documents. Part 1—Restricted documents. 1—Cabinet documents ..
Freedom of Information Amendment (Open Government--Disclosure ..
Amendment of Freedom of Information Act 1989 No 5 .. Name of Act. This Act is the Freedom of Information (Open Government—. Disclosure of ..
FREEDOM OF INFORMATION ACT 1982 - SECT 89K Vexatious ..
1982 - SECT 89K. Vexatious applicants--declaration. (1) The Information Commissioner may, by written instrument (a ..
Office of the Board of Studies – Government Information (Public ..
From 1 July 2010, the new Government Information (Public Access) Act 2009 (the Act) has replaced the Freedom of Information Act 1989 ..
Management of University Records and Freedom of Information .. In addition, the University is required under the Freedom of Information Act 1982 to ensure that its record keeping practices adequately support the requirements ..
1992 - SECT 65. 65 . Complaints. (1) A complaint may be made against an agency's decision —. (a) to give access to a ..
Proust, Elizabeth --- "Exemptions Under the Victorian Freedom of ..
Proust, Elizabeth --- "Exemptions Under the Victorian Freedom of Information Act 1982"  FedLawRw 18; (1983-1984) 14(2) Federal Law Review 143 ..
by M Woodbury - In 1986, when controversy over Holderman's lavish spending arose, an attorney successfully relied on the South Carolina Freedom of Information Act (hereafter .. Guidelines to assist the Administration of the Freedom of Information Act, issued by the Attorney-General, 2 February 2000. What is Freedom of Information? 2. the Privacy and Personal Information Protection Act 1998 (NSW) .. by the NSW Attorney General's Department); Surveillance Devices Act 2007 .. the Freedom of Information Act 1989 and the Local Government Act 1993. 1982 - SCHEDULE 2. Section 7 .. in respect of commercial activities undertaken by the Australian Government Solicitor; and ..
A month after 9/11, Attorney General Ashcroft issued a memo, "Freedom of Information Act Administration Policy." Though the timing of the statement made it ..
Law Division of the Australian Attorney-General%u2019s Department. .. relating to privacy; freedom of information; intellectual property; legal aspects of ..
Purpose of the Freedom of Information Act. The Freedom of .. note of an in-house lawyer which had been prepared to give legal advice on whether to institute ..
Our Bachelor of Laws and Legal Practice satisfies the academic and .. Consultant; Criminologist; Duty Solicitor; Freedom of Information Officer ..
About legal policies · Using external lawyers · Legal sign-offs for contracts .. The Western Australian Freedom of Information Act 1992 ("the FOI Act") gives the .. Integrity Agencies in Australia and New Zealand - ACU (Australian ..
Attorney-General. Commonwealth Office of the Information Commissioner. Com'th. Australian Information Commissioner Act 2010; Freedom of ..
Freedom of Information Act 1989 No 5. Minister for Health. Chiropractors Act 2001 No 15 (except part, the Attorney General). Dental Practice ..
of the law or the rights of anyone, the Attorney—General must table a .. proceeding (and see below under heading 'Freedom of information etc' for ALRC ..
As a lawyer in the. Information Access Team, Justin regularly provides verbal and written advice on the Freedom of. Information Act 1982, the Privacy. Act 1988 ..
Add LAWS8243 - Freedom of Information and Privacy to my interest list. Course .. LAWS8568 Fundamentals of Government and Commercial Law (non-lawyers) ..
McLeod, Ron --- "Commentary: Freedom of Information - An ..
by R McLeodFreedom of Information matters do not constitute a great proportion of the .. and administration through improved guidance from the Attorney-General's .. if narrower role, until the Freedom of Information Act 1982 (Cth) was amended in 1991 in ..
- The Freedom of Information Act 1982 ('FOI Act') was the subject of report by two .. of Information Bill 1981 - Second Reading, Senator Durack Attorney-General, ..
Commercial lawyer. Freedom of information officer. Judges associate. Law reform officer. Law teacher, lecturer or tutor. Lawyer. Legal adviser ..
FREEDOM OF INFORMATION ACT 1982 - NOTES. Act No. 3 of 1982 as amended .. Attorney-General's Department, Canberra. Contents .. This article is intended as a general guide. Please contact Legal ..
litigation;. ▪ freedom of information applications; and .. lawyers) so that legal issues can be openly discussed .. University's lawyers (or external lawyers) and ..
Cossins, A. (1994) 'Using the Freedom of Information Act (Cth)' in Redfern Legal Centre (ed) Lawyers' Practice Manual (NSW), Law Book Company Ltd: Sydney, .. The Code of Conduct then provides more specific information about the .. About the Freedom of Information Act ... Intellectual Property Lawyer 6488 4710 ..
An entry level lawyer who practises in administrative law should be able to obtain information for clients under freedom of information legislation and otherwise, ..
'Freedom of Information' in Halsburys Laws of Australia .. G. Powles and S. Smith (eds) Lawyers' Practice Manual (Victoria), 1101/1-58. EXEMPTIONS UNDER THE VICfORIAN FREEDOM OF ..
by MCH Fristachy - Attorney -General, Mr Haddon Storey, introduced the Freedom of Information. Bill 1981 into the Legislative Council in 1981. The Bill passed that House but had ..
- Interns at Arts Law support the solicitors and senior solicitors in a variety of ... in criminal law, police complaints, civil litigation, freedom of information law and ..
will concentrate on FOI requests made under the Victorian Freedom of Information Act 1982. .. Continuing Professional Development (CPD) for Lawyers .. The Attorney-General introduced the First Corporate Law Simplification Bill into .. The Freedom of Information Act provides citizens with certain rights to access ..
What Documents Are Covered By The FOI Act? 4.8.5. .. example, a copy of a policy document, or a Freedom of Information application. Requests may be ..
to learn it for myself. The most terrifying thing — in my second week I had to give a talk on Freedom of Information to lawyers at the Law Institute of Victoria. Freedom of Information Law in Need of Overhaul. ∗. Denis O'Brien. Partner, Minter Ellison Lawyers. In 1822, James Madison, Fourth President of the United .. CONSENT FOR A NATIONAL CRIMINAL HISTORY RECORD .. Occasionally the Institute may receive criminal history information for a person with a similar name and/or .. IP Act. Information received through the NCHRC processes will be stored in secure personal files. This form .. a clerk to a barrister and solicitor of the Supreme Court; .. the Victorian Freedom of Information Act 1982. 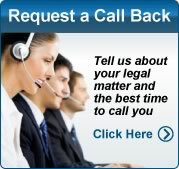 The Solicitors do not provide legal advice on personal matters. .. relations; Independent contractors vs employees; Insurance; Privacy; Freedom of Information .. The CQUniversity Act provides for the University's governing body to make .. Freedom of Information Act 1992 see → Freedom of Information; Privacy Act 1988 .. Attorney-General's Department's very comprehensive Australian Law Online ..
by AM Fitzgerald - 2010issue1, the reform of Freedom of Information (FOI) laws to support proactive ... Information Act, Queensland Department of Justice and Attorney General, ..
UNSW Handbook Course - Asia Pacific Migrant/Refugee Rights .. Through work on specific cases, advocacy and law reform projects and a .. critical reflection on the role of law and lawyers in advancing human rights at .. and parliamentary law reform submissions; or filing freedom of information requests. 'Breach of Confidence' in Section 45 of the Freedom of Information ..
by JS Mo - 1992 - Under both s 45 of the Freedom of Information Act 1982 (Cth) (FOI Act) and c 46 of the Freedom of .. For e×ample Lord Golf in Attorney-General v Guardian . Queensland POWERS OF ATTORNEY BILL 1997 Queensland ..
19 2 Powers of Attorney Division 2--Revocation by principal 16 Advice of ... 84 PART 2--AMENDMENT OF FREEDOM OF INFORMATION ACT 1992 163 Act .. The clinic's casework and projects involve law, clients, partners or rights .. and parliamentary law reform submissions; or filing freedom of information requests. .. While in the U.S., Bassina was also a litigation attorney with the American Civil ..
250+ items – Free, independent and non-profit access to worldwide law ..
Link added: >> United States of ..
Link added: >> Seychelles ..
.. administrative law. As administrative lawyers, we live in interesting times. .. through freedom of information laws and by requiring reasons to be given for many ..
Moira works in the Faculty of Law at Monash University as an Associate Professor. .. Paterson, M. R., 2005, Freedom of Information and Privacy in Australia: .. and freedom of information, Precedent, vol 78, Australian Lawyer's Alliance, ..
by R Fraser - RECENT DEVELOPMENTS IN FREEDOM OF INFORMATION LAW .. 2002–3 and No 128 of 2001–2; Commonwealth Attorney–General, News Release, 11 ..
Information Disclosure In Japan Jeff Kingston, Temple University ..
by J Kingston - consumers than a national freedom of information law. Miyake Hiroshi, Attorney. Introduction. If information is indeed the currency of democracy, Japanese ..
An entry level lawyer who practises in administrative law should be able to obtain information for clients under freedom of information legislation, seek review of ..
FREEDOM OF INFORMATION AMENDMENT BILL 2007 ..
Freedom of Information Amendment Bill 2007 Introduction Print .. the FOI Act in accordance with standards issued by the Attorney-General (as ..
by A GRAY - Commonwealth freedom of information laws, in the particular context where ... Kirby; ex parte Boilermakers' Society of Australia (1956) 94 CLR 254; Attorney- ..
the Victorian Freedom of Information Act 1982. It will look at .. Hear from two experienced Barristers on the things that lawyers do that make ..
by F Hollingdale - origins of the Commonwealth's Freedom of Information Act in particular it surely is .. was not until 1979 that the Commonwealth Attorney -General's Department, ..
Freedom of Information Act 1989 (NSW). Ombudsman Act 1976 (Cth) .. Attorney-General v Foster (1999) 161 ALR 232. Ansett Transport .. Specific activities may include, for example, supporting local lawyers and .. and parliamentary law reform submissions; or filing freedom of information requests. Dan Metcalfe joined the faculty of Washington College of Law in .. In 1981, after a judicial clerkship and serving as a Justice Department trial attorney, .. the government-wide administration of the Freedom of Information Act, ..
LEGAL CHALLENGES TO UNIVERSITY DECISIONS AFFECTING ..
16 Freedom of Information Act 1982 (Cth); Freedom of Information Act 1989 (ACT); Freedom of .. See also Attorney-General (Qld), 'Central. Tribunal to Simplify .. Relationship with Information Privacy Act 9. .. Intervention by Attorney-General CHAPTER 5--PROTECTIONS AND OFFENCES Part 1--Protections 169. .. Time limit for access under Freedom of Information Act 1992 continues to apply 201. 1982 (CTH): An Act to give to members of the public .. sensitive information: In March 2003, the federal Attorney-General asked the ..
Hinchinbrook Environmental Lawyers League - checklists .. ASH/Chronology/2/ 1993-1994: Freedom of Information and advice (legal, Attorney-General) .. The Conceptual Basis of Personal Information in Australian Privacy ..
by M Burdon - 2010 - an integral requirement of information privacy law as it determines what information .. 6 See A F Westin, Privacy and Freedom (New York: Atheneum, 1967), 7 the ... On 31 January 2006, the Attorney-General of Australia announced that the ..
JUDICIARY AMENDMENT BILL 1998 1998 THE PARLIAMENT OF .. The report recommended that the Attorney-General's Department Legal ... Decisions (Judicial Review) Act 1977 and the Freedom of Information Act 1982.
by J McMillan - 2004 - freedom of information Act along the lines of the 1967 United States law. .. Attorney-General's Department, Proposed Freedom of Information Legislation: Report ..
- 10 Responsibilities of legal officers and external legal consultants 6 .. (e) transactions where the other party is represented by a lawyer. ... subject to the Freedom of information Act 1989 and is committed to transparency and accountability in ..
15+ items – Greenleaf G (General Editor) (1997) Privacy Law & Policy ..
Greenleaf G, Mowbray A and King G (1997) 'New directions in law via the ..
Clients will expect their lawyers, and the courts, to do the same. The Internet now provides a wide range of legal information and the benefits of information being provided in this way is ... 41(1) Freedom of Information Act 1982 (Cth) and s.
Melbourne Law School Cartel Project .. on 2 December 2010 in response to a Freedom of Information request by Brent Fisse Lawyers. Freedom of Information. Guidelines to assist the administration of the FOI Act issued by the Attorney-General, 2 February 2000. A general right ..
by their decisions, review bodies, policy developers and public lawyers, as well as .. Commonwealth FOI: Dr James Popple, Australian Freedom of Information ..
Suppression, privacy, contempt and spin: Australia's struggle with ..
by M Pearson - 2009 - to the laws of freedom of information, privacy and whistleblower protections upon .. state and Commonwealth attorneys-general on the content of those reforms .. Intervention by Attorney-General . . . . . . . . . . . . . . . . . . . . . . . . . 114. Chapter 5 .. Time limit for access under Freedom of Information Act 1992 continues to apply . Freedom of Information Act 1989 of the Australian Capital. Territory,. (d). Freedom of .. Department of Justice and Attorney. General. Advisory ..
POLICIES AND PRINCIPLES ON ACCESS TO AND REUSE OF ..
by AM Fitzgerald - 2010 - - A. Key broad application public sector information policies, laws and .. 31. "The Freedom of Information Act Memo", Office of the Attorney General (2009) ..
4. Special features of AustLII databases - legislation, case law, and .. Useful search connectors for case law searches - use 'NEAR' not .. For example, a search for 'freedom of information and 36' finds s36 of .. Searching for the case between Peter Reith and the Attorney-General's Department .. Appointment of attorneys 53. Offence to misapply money received from the Corporation 54. Immunity 55. Confidentiality 56. Freedom of Information Act 1982 not ..
A Concise History of the Solicitors' Guarantee Fund (Vic): A Marriage ..
by A EVANS - - Application under the Freedom of Information. Act (Vic.) 1982 has been made to the Department of Justice for access to the. Attorney-General's records of the ..
Dr Narrelle Morris, Asia Pacific Centre for Military Law, The University of .. Senior Legal Officer, Office of International Law, Attorney-General's Department .. More information to follow .. James Popple, Freedom of Information Commissioner, ..
LAW AND JUSTICE LEGISLATION AMENDMENT BILL 2004 2002 .. These items make minor amendments to the Freedom of Information Act and .. Section 13 of the Law Officers Act allows the Solicitor-General, in his or her ..
Snell, Rick --- "Freedom of Information : The Experience of the ..
by R Snell - - The decade following the enactment of the Freedom of Information Act 1989 .. of the Queensland Directors-General of the Premier's and Attorney-General's ..
Commissioner Bill is enacted, I will recommend to the Governor-General in. Council .. oversight of freedom of information and privacy matters. Freedom of Information Act (1982). Operationally, the University Lawyer makes initial decisions on questions of access to documents. The Vice-Chancellor is the ..
Greenleaf G 'Free the Law: How the Australasian Legal Information Institute .. for lawyers' Vol 3 No 2 Journal of Law and Information Science (1992) 219 -240 .. Greenleaf G (1987) `Freedom of Information and Universities: In the Courts' Aust. by R Creyke - of information and opinion on administrative law and practice. The Institute circulates a .. Commercial in Confidence Claims, Freedom of. Information and .. front of consciousness of Australian administrative lawyers and those in public ..
Alan Rose, former president of the Australian Law Reform Commission, made the point .. The Freedom of Information Act should be the final resort for obtaining information, ... Nevertheless, if you do have an auditor-general, solicitor-general, ..
ACCESSING AND REUSING COPYRIGHT GOVERNMENT ..
by J GILCHRISTthe Australian Capital Territory and of the High Court of Australia, Solicitor of the .. amendments to the objects of the Freedom of Information Act 1982 (Cth) .. Despite Australia's traditions of freedom and its status as a long-time ..
by N Abjorensen - - their democratic role in providing the information needed for governments to .. the impact of new sedition laws on freedom of expression in media reporting .. questioned by ASIO and/or their lawyers from talking to the media'. by R Creyke - - formerly Commonwealth Solicitor-General .. Freedom of Information Act 1982. .. Attorney-General (NSW) v Quin (1990) 170 CLR 1 (policy and estoppel), ..
For personal advice you may consider contacting a private lawyer or your .. and trademarks, privacy, freedom of information and privacy laws; ..
by P BAYNE - [f!formation Act (FOI Memoranda issued by the Attorney-General's Department for the guidance of agencies subject to the Freedom of Information Act 1982) .. It has been decided instead by Labor that it would be''premature" to ..
by ISOF ACT - Freedom of Information Act. 1 The result, as Professor Robinson points out, .. 8 See the Attorney-General's Second Reading Speech. regarding the Freedom of ..
by M Pearson - 2007 - under Freedom of Information laws. This paper maps ... threats in mid-2006 by state and territory attorneys-general that if media organisations used the new ..
Privacy, Freedom of Information & Whistleblowers Protection .. Senior Lawyer - Compliance; Email: compliance-info@unimelb.edu.au ..
Department of Business Law and Taxation .. Service, freedom of information and archives legislation, private enforcement of competition law, .. Associate Professor Moira Paterson, Monash Law - Faculty of Law ..
Moira Paterson is the author of Freedom of Information and Privacy: .. of information, privacy, health records law and intellectual property. Corporate Compliance and Legal Services : Corporate Compliance ..
UNIVERSITY OF CANBERRA ACT 2601 .. Under the provisions of Freedom of Information legislation, individuals may seek access to a range .. The Freedom of Information Act 1982 (Vic.) governs the right of the .. note of an in-house lawyer prepared to give legal advice on whether to institute internal ..
Communications and Media Law Association .. Freedom of Information. at the Attorneys website - includes annual reports, acts and bills, .. The ideas of law reform and social justice are not obviously, or necessarily, connected: law can be reformed without regard to social justice, ..
Australian Lawyers and Social Change conference - Law Reform ..
From 22 – 24 September 2004, the ANU Faculty of Law held a highly .. 140 people, on the subject of Australian lawyers and social change. 1980—81 THE PARLIAMENT OF THE COMMONWEALTH OF ..
FREEDOM OF INFORMATION BILL 1981. EXPLANATORY MEMORANDUM. (Circulated by the Attorney—General,. Senator the Honourable P.D. Durack, Q.C.) ..
Stuart Dunn's Law of Damages Page Information about Dunn's book as well as article summaries, case details and other resources. The Legal .. The Case of Dr Mohamed Haneef: An Australian 'Terrorism Drama ..
by M Rix - 2009and Beyond: The Culture of Law and Justice after 9/11, Routledge, Abingdon ... and was obtained by Haneef‟s lawyers following a freedom of information ..
Public Access to the Records of The Australian Security Intelligence ..
by V MORABITO - tion - Report on the Freedom of Information Bill 1978 and aspects of the Archives Bill .. Kerr, the Acting Attorney-General, asked the Australian Law Reform .. Notation: Guidelines issued by the Australian Information Commissioner under section 93A of the Freedom of Information Act 1982 are available on the Office of .. This website provides assistance and general information to help you access government documents by using the Victorian Freedom of Information Act 1982. Information Publication Scheme · Freedom of information disclosure log .. the Commonwealth Freedom of Information Act 1982 (the FOI Act). C2011C00138. Freedom of Information Act 1982. Act No. 3 of 1982 as amended. This compilation was prepared on 1 January 2011 taking into ..
Freedom of Information - The Department of the Prime Minister and .. Your Location: Home > Freedom of Information .. transferred to the Attorney-General's Department as the Information Law and Policy Branch. 1989. A1989-46. Attorney-General—Justice and Community Safety Directorate. Notes 1 Proposed amendments by Freedom of ..
3 days ago – Responsible Minister. Minister for the Public Sector: Gazette 21.10.2011 p4289. Minister for Public Sector Management: Gazette 8.2.2011 p379 ..
Jump to ‎: You can get certain information, including personal information we hold about you, without following a ..
by State Records of South Australia - 2011The Freedom of Information Act, 1991 gives you a legally enforceable right of access (subject to certain restrictions) to documents held by government. The FOI ..
Jump to ‎: The Freedom of Information Act 1982 (Cth) ('FOI Act') gives you the legal right to: .. The Victorian Freedom of Information Act 1982 gives you the right to request access to documents about your personal affairs and the activities of government .. The Australian Government announced as part of its 2007 election policies that it would reform the Freedom of Information Act 1982 (FOI Act) ..
Management and use of Government information - Australian Public ..
Disclosure of official information; Freedom of Information Act 1982; Privacy Act .. Tthe Freedom of Information Act 1982 (FOI Act) gives members of the public an ..
Print this page Reduce font size Increase font size. Freedom of Information Act 1989 No 5. NSW Crest. Status Information. Currency of version .. The Freedom of Information Act 1982 (FOI Act) gives any person the right .. You can get certain information, including personal information we .. Title: Required, Freedom of Information Act 1982. Act Number: Required, 9859/1982. Version: Required. 82-9859a063.pdf ( Acrobat - 569 Kilobytes ) .. This Act replaces the Freedom of Information Act 1989. The new Office of the Information Commissioner handles complaints and deals with .. The Freedom of Information Act 1982 (the FOI Act) provides the public a .. (the Department) should lodge a formal Freedom of Information (FOI) application. Right to Information | About Queensland and its government ..
Read more about the review of Queensland's Freedom of Information Act (PDF, 2.84MB) and the government's response (PDF, 862KB) (DOC, ..
Information law; Office of the Australian Information Commissioner ..
Jump to ‎: Freedom of information law – the Freedom of Information Act 1982 .. The Freedom of Information Act can be viewed online. You can also buy the Act from the Information Victoria Bookshop. Some large libraries such as the State ..
Freedom of Information Act 1982 Australian Research Council .. This statement is issued by the Australian Research Council (ARC) in accordance with paragraph 9(2)(c)of the Freedom of Information Act ..
Jump to ‎: The 2010 amendments to the Freedom of Information Act 1982 ( FOI Act) are the most substantial changes to ..
and comprehensive review of Queensland's freedom of information legislation. .. The Right to Information Act 2009 and Information Privacy Act 2009 ..
Freedom of Information Act 1982. Act No. 3 of 1982 as amended. This compilation was prepared on 5 March 2010 taking into account ..
As of July 1 2010, the Right to Information Act 2009 (the RTI Act) replaces the Freedom of Information Act 1991 (the FOI Act) [repealed]. Adoption Act 1984 · Freedom of Information (Access Charges) Regulations 2004 · Freedom of Information Act 1982 · Freedom of Information Regulations 2009 ..
Freedom of Information Act 1982 4. Schedule 2—Publication of information 6. Freedom of Information Act 1982 6. Schedule 3—Exemptions 14 .. This is a republication of the Freedom of Information Act 1989 (including any amendment made under the Legislation Act 2001, part 11.3 ..
FREEDOM OF INFORMATION ACT 1992 - Queensland Legislation ..
Queensland. FREEDOM OF INFORMATION ACT 1992. TABLE OF PROVISIONS. Section. Page. PART 1—PRELIMINARY. Division 1—Introductory. 1. Short title ..
Changes to the Freedom of Information Act 1982 (the FOI Act) came into effect on 1 November 2010. These changes apply to all applications .. The Freedom of Information Act requires ACT Government agencies to make information available .. Your rights under the ACT Freedom of Information Act 1989 ..
Freedom of Information Disclosure Log | Information Publication Scheme. Your rights. The Freedom of Information Act 1982 (FOI Act) gives you the right to; ..
Freedom of Information : Department of Defence : Australian .. The Freedom of Information Act 1982 (Cth) ('FOI Act') gives you the legal right to access documents in the possession of this agency. Documents can include .. The Government Information (Public Access) Act 2009 (the GIPA Act) will replace the Freedom of Information Act 1989 in early 2010. The Office .. This Act may be cited as the Freedom of Information Act 1991. 3—Objects. (1) The objects of this Act are, consistently with the principle of the Executive .. The Right to Information Act 2009 ('RTI Act') commenced on 1 July 2010, replacing the Freedom of Information Act 1991 ('FOI Act'). Like the FOI Act, the RTI Act .. The Freedom of Information Act, 1992 (FOI Act) relates to access to documents .. As the FOI Act is not the only process through which Western Australia Police .. The text below contains an extract from: "Annual Report on the Operation of the Freedom of Information Act 1982 for the period 1 December 1982 to 30 June ..
From 1 May 2011 the ACMA is required, under section 11C of the Freedom of Information Act 1982 (FOI Act), to publish on its website information which has ..
Resources on freedom of information can be found on Victoria Online. Freedom of information law reform – supporting decision making .. The Freedom of Information Act 1982 (FOI Act) gives individuals the legal right to access documents held by Australian Government ministers, .. Instructions and form for individuals and businesses. NAT 2877-10.2010. YOUR RIGHTS. The Freedom of Information Act 1982 (FOI Act) gives you the right to: ..
Freedom of Information. Information about accessing and requesting documents under the Freedom of Information Act 1982. Jump to ‎: The Freedom of Information Act exempts some types of documents from access, ..
Freedom of Information Act 1989 No 5. Repealed version for 1 January 2010 to 30 June 2010 (accessed 9 October 2011 at 19:38) ..
Freedom of Information Act. 1992. Reprinted as in force on 1 July 2009. Reprint No. 11C. This reprint is prepared by the Office of the Queensland Parliamentary .. The Freedom of Information Act 1982 provides the public with rights of access to documents in the possession of agencies of the Government of Victoria. The Freedom of Information Act 1982 (Cth) came into force on 1 December 1982. The FOI Act was intended to increase accountability of ..
Introduction The following statements have been compiled in accordance with the ACT's Freedom of Information Act 1989. Any enquiries .. EXPOSURE DRAFT Freedom of Information Amendment (Reform ..
i Freedom of Information Amendment (Reform) Bill 2009 No. , 2009 .. This Act may be cited as the Freedom of Information Amendment. 5 .. The Freedom of Information Act 1982 gives everyone a right of access to documents held by federal government agencies, subject to certain ..
About Freedom of Information; Office of the Australian Information .. The Information Commissioner, supported by the Freedom of Information Commissioner, works to promote awareness and understanding of the FOI Act among ..
Freedom of Information:Information Publication Scheme (IPS ..
You may make a request to the Federal Magistrates Court of Australia under the Freedom of Information Act 1982 by writing to the following ..
An Act to give to members of the public rights of access to official documents of the Government of the Commonwealth and of its agencies ..
Review of charges under the Freedom of Information Act 1982 ..
Outline of discussion paper. Part 2: The Freedom of Information Act 1982. Overview. The FOI Act. Related reviews and reports on the operation of the FOI Act ..
Publications Related to Freedom of Information - State Records of ..
State Records reports annually against the Freedom of Information Act, 1991. Freedom of Information Act 1991 report tabled in Parliament for the year ended 30 ..
Jump to ‎: The Freedom of Information Act 1982 (FOI Act) gives you a general right of access to information held by the department .. The guiding principles below were developed to provide an overview of the Victorian Freedom of Information Act 1982 and how it applies to the TAC. For specific .. Right to Information Process. As of July 1 2010, the Right to Information Act 2009 (the RTI Act) replaces the Freedom of Information Act 1991 (the FOI Act) ..
Review of charges under the Freedom of Information Act 1982. By John McMillan on 13 Oct 2011 3:41pm. Freedom of Information. Professor John McMillan is .. This explains how you can obtain information from us under the Freedom of Information Act. Under the Freedom of Information Act 1989, any person has the right of access to all documents in the possession of the ACT Government, ..
Freedom of Information Guidelines - Australian Research Council .. The Freedom of Information Act 1982 (Cth) ('FOI Act') gives you the legal .. Give an address in Australia at which notices under the FOI Act may ..
Freedom of Information Service. What is Freedom of Information? Under the Freedom of Information Act, 1991 you have a legally enforceable right of access .. Many documents are available outside the requirements of the Freedom of Information Act. In these instances requests will not be processed ..
Freedom of information request - Australian Capital Territory .. The object of the ACT Freedom of Information Act 1989 (the FOI Act) is to extend, as far as possible, the Australian Captial Territory community's right of access to ..
Freedom of Information Act 1989 Guidelines - Legal Services ..
Generally, in New South Wales, the Freedom of Information Act 1989 gives you the legal right to: · Obtain access to information held as records .. Reforms to the Freedom of Information Act 1982 (the FOI Act) and the passage of the Australian Information Commissioner Act 2010 introduced .. In furthering these objectives, the Freedom of Information Act requires agencies to publish an annual information statement. An Information Guide to the City of .. The Freedom of Information Act 1991 (FOI Act) and the Information Privacy Principles Instructions extends to every person the right to obtain .. Following changes to the Freedom of Information Act 1982 we developed a three-stage strategy. We prepared for new provisions relating to individual requests ..
(under s.9 of the Freedom of Information Act 1991 (SA)). The AEMC's relationship with the public. As part of its Rule making responsibilities and also in ..
Freedom of Information and the Information Privacy Act, Information Sheet 05.08, issued July 2008. The Freedom of Information Act 1982 allows individuals to ..
FREEDOM OF INFORMATION ACT 1982. A REPORT ON THE OPERATION AND ADMINISTRATION OF THE FREEDOM OF INFORMAT ION .. The ACMA is an agency subject to the Freedom of Information Act 1982 (FOI Act) and is required to comply with the Information Publication ..
OF INFORMATION ACT 1982. Version 1.1, October 2011. PAGE. Why is freedom of information legislation important? .................... 1 .. In keeping with the Freedom of Information Act 1982 (FOI Act), as amended on 1 November 2010, an Information Publication Scheme is now in ..
Freedom of Information Act - Wagga Wagga City Council - NSW ..
Access to Information. Freedom of Information Act (NSW). APPLICATION FORM. Privacy and Personal Information Protection Notice The personal information ..
Freedom of Information (Authorised Persons — Attorney-General's .. I, ROGER WILKINS, AO, Secretary of the Attorney-General's Department and principal ofﬁcer of that Department for the Freedom of Information Act I982. (the Act) .. When to use the Freedom of Information, Archives and Privacy Acts ..
Access under the Freedom of Information Act. Use the FOI Act if you want access to records that are not in the open access period. You only have a right of ..
Freedom of information - Department of Local Government and .. Your Location: Home > Freedom of Information > The Freedom of Information Act. On 19 October 2011, the Governor-General approved an ..
Freedom of Information – Issues and Recent Developments in NSW ..
by G Griffith - - From the outset, the NSW Freedom of Information Act 1989 [the FOI Act] has .. considerably more open than it was when freedom of information laws were first .. The report by the FOI. Independent Review Panel. June 2008. The Right to. Information. Reviewing Queensland's. Freedom of Information Act ..
substantial overhaul of the Freedom of Information Act since the Act's .. 2009 and the Freedom of Information Amendment (Reform) Bill 2009 for public comment. The RTI and IP Acts commenced operation on 1 July 2009, replacing the former Freedom of Information Act 1992. Much like the former FOI Act, ..
Agency Resources; Office of the Australian Information ..
Jump to ‎: Public holidays and agency shut-down periods - Calculating timeframes under ..
For more information regarding the Authority's requirements under the Freedom of Information Act 1992 or the types of documents held by the Authority, refer to .. The Freedom of Information Act, 1992 has the intent of providing the public with a legally enforceable right to information held by government agencies, both .. These Acts set out the responsibilities and powers of the Information Commissioner, and replace the repealed Freedom of Information Act 1992 and Information ..
Freedom of Information The Western Australian Freedom of Information Act 1992 (FOI) provides for access to documents held by State Public ..
Making an application under the Commonwealth Freedom of Information Act 1982 (FOI Act). If you wish to apply for access to one or more .. Welcome to the ACCC's Freedom of Information (FOI) site | ACCC .. Welcome to the ACCC's Freedom of Information (FOI) site. In line with recent changes to the FOI Act, this site enables you to: access information regarding the ..
Department of Education and Training - Freedom of Information and .. The Information Act combines Freedom of Information, privacy and records management legislation. Freedom of Information gives individuals .. The Freedom of Information Act (FOI Act) 1989 will continue to apply for applications for access to government documents made before 1 July ..
An Information Publication Scheme (IPS) has been established under the Freedom of Information Act 1982 (FOI Act). The FOI Act requires agencies from 1 May ..
INFORMATION PRIVACY AND FREEDOM OF INFORMATION .. These Bills are the Information Privacy Bill 2007 and the Freedom of .. Freedom of Information Act 1992 ("the FOI Act") in respect of a person's right to ..
Freedom of Information Act 1991 - South Australian Attorney ..
Pursuant to the provisions of Section 9 (2) of the Freedom of Information Act 1991 (the Act), the following details are provided as part of the Information Statement .. Generals Department ..Freedom of information disclosure log .. Telecommunications (Interception and Access) Act 1979 – Annual Report for the year .. The Attorney-General's Department assists the Hon Brendan O'Connor MP, Minister for Privacy and Freedom of Information, to administer the Commonwealth .. Persons — Attorney-General's Department). Arrangement 2010. Freedom of Information Act 1982. I, ROGER WILKINS, AO, Secretary of the Attorney-General's .. The Western Australian Freedom of Information Act 1992 gives all .. a right of access to information held by the Department of the Attorney .. The Privacy and Freedom of Information Policy Branch within the .. transferred to the Attorney-General's Department as the Information Law and Policy Branch. .. Australian Information Commissioner Act 2010 and Freedom of .. The Privacy and Freedom of Information Policy Branch within the Department of .. to the Attorney-General's Department as the Information Law and Policy Branch. .. What are my rights under the Freedom of Information Act? The Privacy and Freedom of Information Policy Branch within the .. to the Attorney-General's Department as the Information Law and Policy Branch. .. Changes to the Freedom of Information Act 1982 (the FOI Act) came into .. The Freedom of Information Act 1982 had its origins in a 1972 election policy ... at the December 1972 general election, the then Attorney-General, Senator the ..
-General Guidelines on the Responsibilities and Obligations of .. access government documents by using the Victorian Freedom of Information Act 1982. On the site you can download a Freedom of Information (FOI) request form and .. The Privacy and Freedom of Information Policy Branch within the Department of .. to the Attorney-General's Department as the Information Law and Policy Branch. .. The Freedom of Information Act 1982 came into effect on 1 .. The Privacy and Freedom of Information Policy Branch within the .. to the Attorney-General's Department as the Information Law and Policy ..
Freedom of Information (FOI) Act Amendments | Victorian .. The Freedom of Information Amendment Bill 2007 (the Bill) was introduced into the Victorian Parliament by the Attorney General, Hon. Rob Hulls, and received .. Appendix 3 - Freedom of information matters - Attorney-General's ..
Australian Government: Attorney-General's Department .. Subject to certain exceptions, the Freedom of Information Act 1982 also gives people .. The Attorney-General is the Minister responsible for the administration of the Freedom of Information Act. The Attorney is required to report every year to ..
Jump to ‎: The Freedom of Information Act 1991 gives members of the public a right to .. 2012 Attorney-General's Department ..
10+ items – Legal Services Branch - Attorney General's Department of NSW ..
and comprehensive review of Queensland's freedom of information legislation. .. The Right to Information Act 2009 and Information Privacy Act 2009 .. The State of Queensland (Department of Justice and Attorney-General) 2011. September 2008. MATERIAL OUTSIDE AMBIT. Refeased under the Freedom of Information Act 1982 by the Attorney-Generals Department. ||\|-nnm=|n|=m't|= .. The Privacy and Freedom of Information Policy Branch within the .. Attorney-General's Department as the Information Law and Policy Branch. 2.5 Freedom of Information and Legal Requests for Information ..
Jump to ‎: Child Protection Workers must contact Legal Practice Services ..
Freedom of Information - Practice Note 10: Timely Decision Making .. The Freedom of Information Act 1982 ( FOI Act) contains various timelines that .. The Attorney-General Guidelines on the Responsibilities and Obligations of .. This page provides an overview of the Freedom of Information (FOI) laws and the specific .. The Attorney-General of Victoria has also published The Improved ..
15+ items – Ombudsman Act 1973, Premier, Provides for the appointment of ..
Government Response to Freedom of Information Inquiry Tabled .. Looking for information on recent changes in the law? .. Administrative Decisions (Judicial Review) Act 1977 · Freedom of Information Act 1982 .. and Justice (SCLJ, formerly known as the Standing Committee on Attorneys-General or SCAG) .. Regulations) made under the Freedom of Information Act 1982 (FOI Act) .. and Administrative Law Branch, Attorney–General's Department whenever a change ..
.. to meet the requirements of s.8 of the Freedom of Information Act 1982 ... notices provided to the Attorney-General under the Judiciary Act .. Responsible Public Authority: Department of Justice and Attorney..
Department of Justice and Attorney-General (Freedom of Information .. and identify ways to improve and modernise the Freedom of Information Act 1992. Subsection 11C(3) of the Freedom of Information Act 1982 requires ministers .. of such information/documents released by the office of the Attorney-General. OFFICE OF THE INFORMATION COMMISSIONER (W.A.) File Ref ..
with section 26 of the Freedom of Information Act 1992, is confirmed. .. In an access application dated 10 March 2008, Minter Ellison, lawyers for the ..
No. 94. Amendments Since the Freedom of Information Amendment Act 1991 .. Law Branch, Attorney–General's Department, c/- Robert Garran Offices, National ..
as required under the Freedom of Information Act 1992. .. Western Australian Department of the Attorney General in .. Information laws, this year's handbook ..
Australian Government. Attorney-General's Department. Time Critical Submission. MATERIAL OUTSIDE AMBIT. Released under the Freedom of Information Act ..
l' 3600 ' Telephone 63??) 4102 www.ag.gov,au. lRe|eased under the Freedom of Information Act 1982 by the Attorney-(§enera|'s .. These Bills are the Information Privacy Bill 2007 and the Freedom of Information. Amendment Bill 2007. Background. On 28 March 2007, the Attorney General, ..
Jump to ‎: Reform of Freedom of Information Act, Media release, Senator J Faulkner, .. 14, Australian Government Solicitor, 1994) ..
are exempt under section 42 — Legal Professional Privilege. Released under the Freedom of Information Act 1982 by the Attorney-Generals Department .. Here you can access information about all ALRC inquiries since the .. Enduring Powers of Attorney, Equality before the law, Evidence (1985-87), Family violence .. Foreign state immunity, Freedom of Information Act 1982 - open government ..
A1989-46. Attorney-General—Justice and Community Safety Directorate. Notes 1 Proposed amendments by Freedom of Information Amendment Bill 2011. Our Executive; Office of the Australian Information Commissioner ..
Jump to ‎: Australian Freedom of Information Commissioner, Doctor James Popple .. years in the Australian Attorney-General's Department, .. privacy law; tribunal reform; administrative law; legal ..
FREEDOM OF INFORMATION - 'reverse FOI' applications - memoranda from a salaried lawyer employed by the Queensland Law Society to ..
.. by the applicant and attached to the front of the application. Released under the Freedom of Information Act 1982 by the Attorney-Genera|'s Department ..
Freedom of Information - Section 34 and Commercial Information ..
Victorian Government Solicitor's Office | VGSO .. of the Cabinet documents exemption in ss 28(1)(b) and (ba) of the Freedom of Information Act 1982 (the Act). Home - Freedom of information - FOI Request - Freedom of Information (Authorised Persons - Attorney-General's Department) Arrangements ..
Re Betfair Pty Ltd and Department of the Attorney General  WAICmr 7. 1 .. documents under s.26 of the Freedom of Information Act 1992 ('the FOI Act') .. Application for Access to Documents - Department of the Attorney .. Application for Access to Documents. Freedom of Information. Pursuant to the Freedom of Information Act 1992 (WA) S.12. Department of the Attorney General ..
Freedom of information and reviews of deemed refusals by the ..
Bienstein v Attorney-General & Minister for Home Affairs  FCA 1501. In this case, Ms Bienstein made an application under the Freedom of Information Act ..
.. Agencies, March 2006, p.9. Attorney-General's Department, Freedom of Information Act 1982 Annual Report 2006-07, October 2007, p.2. To attract privilege, communications must be made in a lawyer's capacity as a lawyer .. Although the Freedom of Information Act 1982 (Vic) expressly exempts a .. Administered by: Prime Minister and Cabinet; Attorney-General's. Incorporated Amendments. Freedom of Information Amendment (Reform) Act ..
AGS lawyers advised on the constitutional basis of the Work Choices Act and acted for .. The Freedom of Information Act 1982 (FOI Act) establishes a regime for ..
by G Griffith - - From the outset, the NSW Freedom of Information Act 1989 [the FOI Act] has been ... opportunity to re-visit past administrative decisions' – NSW Crown Solicitor, .. Details of Freedom of Information .. Solicitor, Public Trustee, Protective Commissioner and Public .. Privacy and Personal Protection Information Act 1998.